I have to say, I realized early on that I am not a very good employee, which is why I realized that somehow, some way, I needed to work for myself. So that probably explains why Brandy and I immediately clicked when we first met. I love meeting women who are carving their own path, who spend time becoming self aware and hone in our their strengths to do what makes them happy. 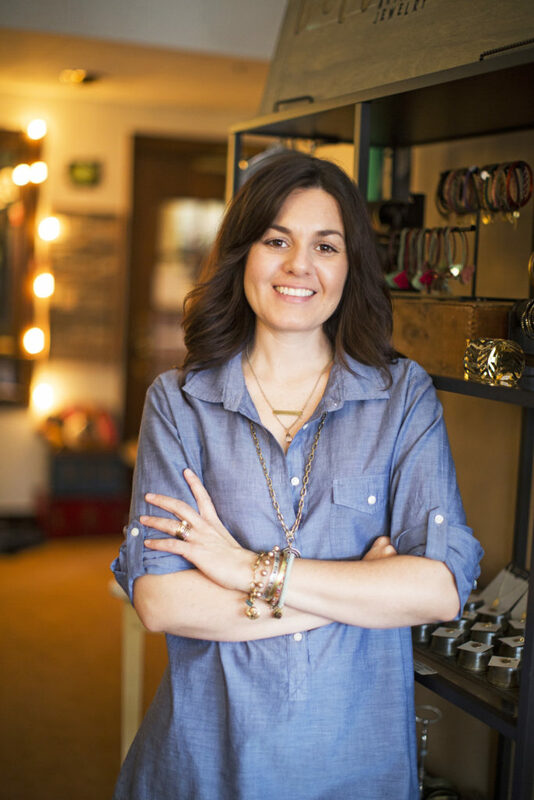 Brandy McNair is the woman behind Bella Vita Jewelry and her story is one all aspiring entrepreneurs should read. 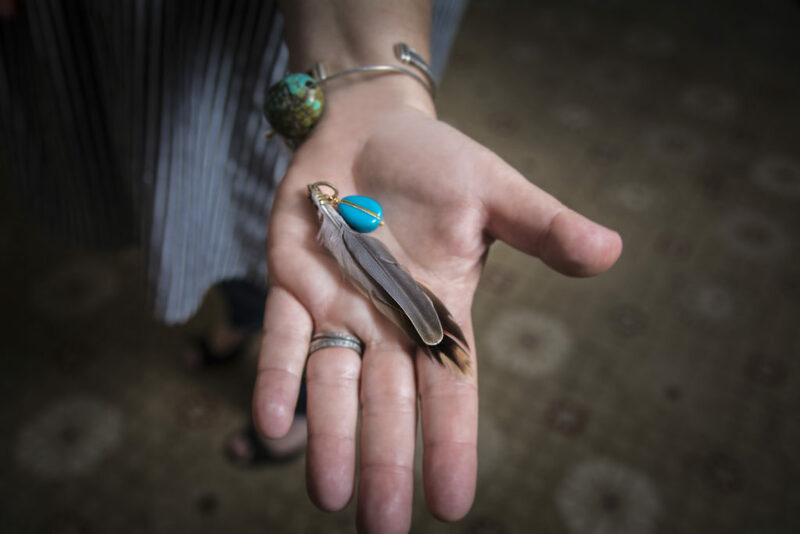 Her jewelry is also gorgeous, and the women who attended my Adventure Getaway were lucky enough to experience it first hand in a jewelry making workshop she lead for us with our dove feathers we hunted in the field. In our latest edition of Meet the Modern Pioneers, we sat down with this #girlboss to capture some of her wisdom. 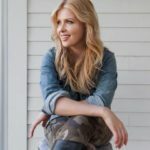 Keep reading for more of her inspiring story… and as a special treat, with gift giving season around the corder, use coupon code: GP2017 for 20% off an entire order on her website! Active from today until Oct 20, 2017. 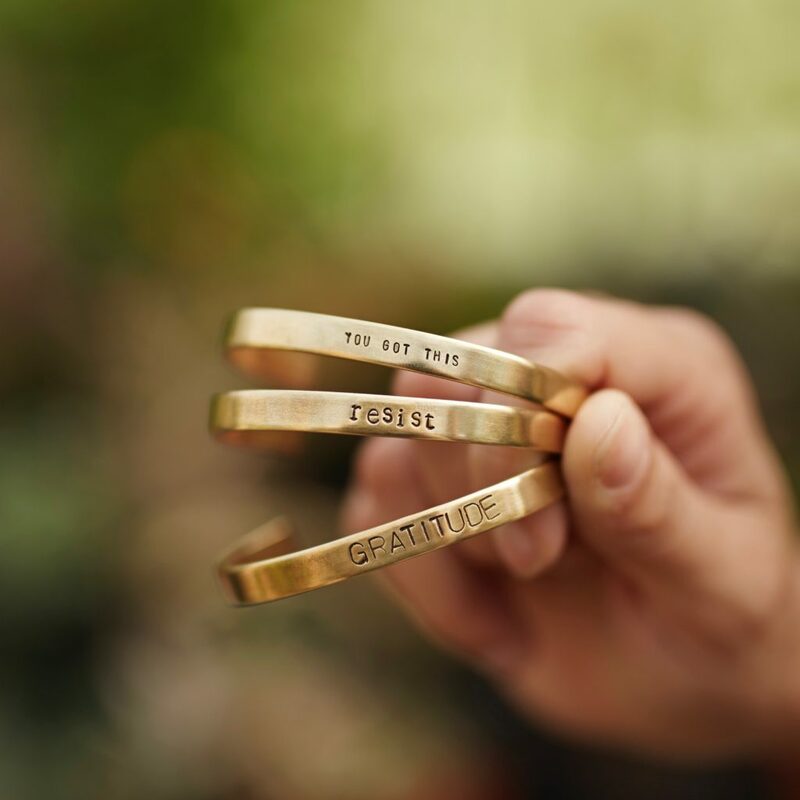 What was the motivation behind creating Bella Vita Jewelry? Gonna be really honest here… I got fired from two desk jobs between 2007 and 2008 and I had to do something! While at the second desk job, I decided to pull out my boxes of beads and started making small pieces of jewelry for holiday gifts. I hadn’t made jewelry in so long and I quickly realized how much I missed it and loved it. So, losing those jobs ended up being a blessing in disguise! My mother’s family is Italian so I wanted something that celebrated those Italian roots. Bella Vita means “beautiful life” in Italian. I believe that being surrounded by beautiful things and design, leads to a beautiful life. 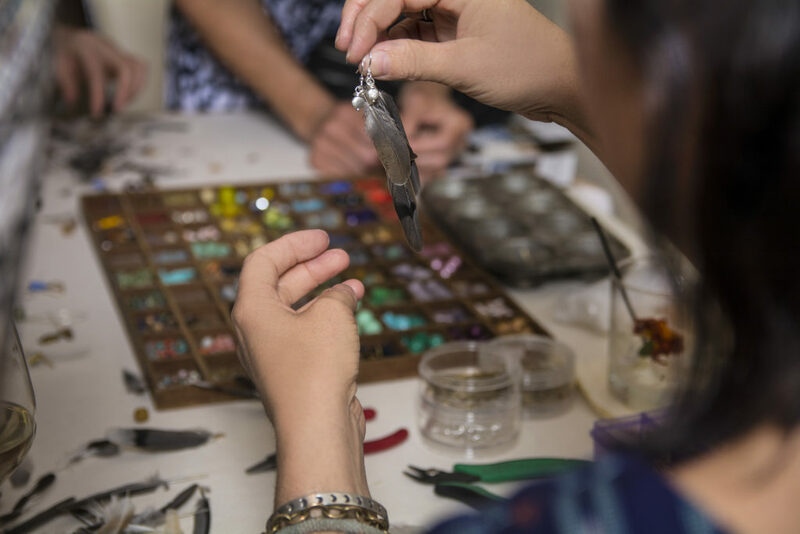 When and how did you first learn about jewelry design? I started making jewelry around age 10. I was making friendship bracelets with tiny glass seed beads on floral wire. That quickly graduated into macrame hemp jewelry then wire working and stringing beads. I had a lot of mentors and teachers along the way. My grandmothers always had really interesting jewelry and beads for me to use in my designs. Then around age 14 I started working at a bead store in Eureka Springs and that is where the creativity really began flowing. Then, I took my first metalsmithing class in 2008. A lot of what I know is self taught, but I’ve also had some amazing teachers from around the country. The constant challenge to push myself further and further each day. 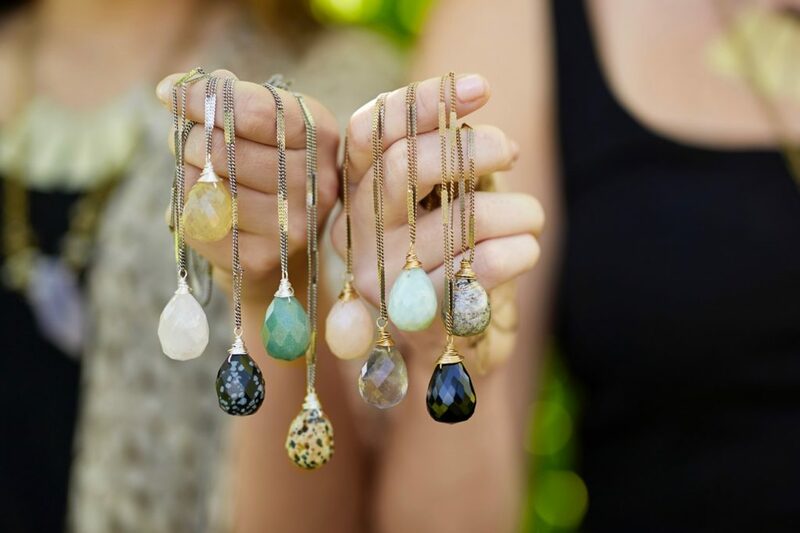 How would you describe Bella Vita Jewelry’s style? 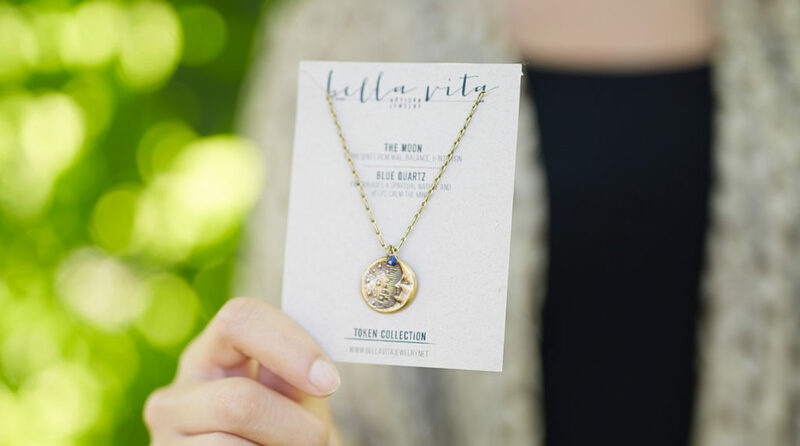 Bella Vita style is timeless and classic artisan jewelry with a story. Even our seasonal line that I would describe as “trendy” isn’t so trendy to the point that you won’t be wearing it in a year. I want our jewelry to be passed down from generation to generation so I design with that in mind. Oh my! I’ve made so much jewelry over the years. My favorite projects are probably the custom orders that my customers request. 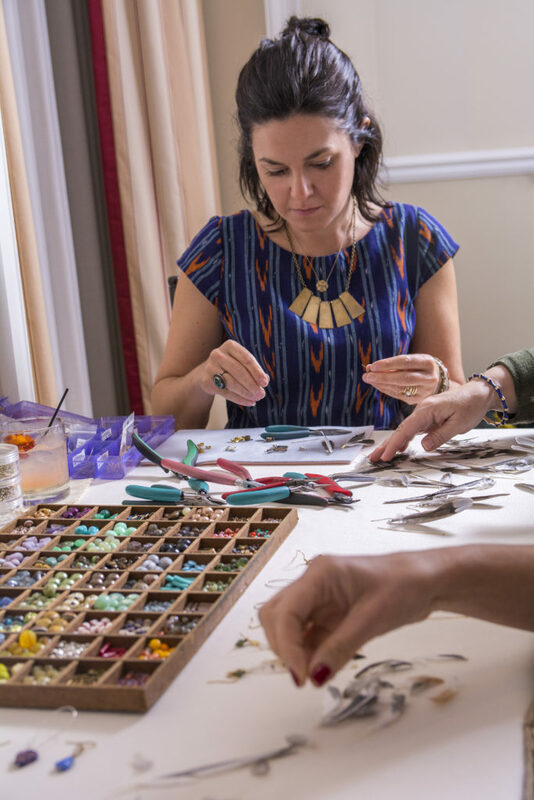 Requests can range from stamping a newborn’s name on a piece of metal for the mother to wear, to reinventing grandma Margaret’s 1920’s antique Italian glass beads into a more modern gem for her granddaughter. I love being part of the history/story of a piece of jewelry. And you can’t beat witnessing the emotion when they see their custom piece for the first time. The satisfaction I give my customers and the kind words they give back to me. 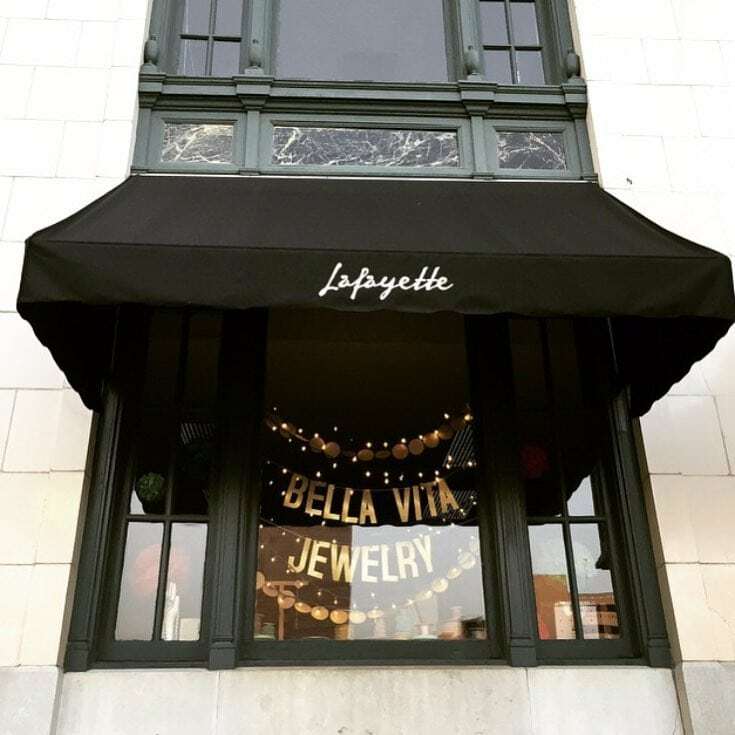 What has been your favorite moment in owning Bella Vita Jewelry? Hands down being featured in Southern Living Magazine in December of 2015. It kind of happened really fast and I didn’t even know I actually got published until the magazine was in circulation. A salesman called me trying to sell me a framed version of the article! Southern Living had requested samples and I submitted samples and they used them! It was a full page feature too. Im forever grateful to that editor! I tend to wear a small dainty necklace day in and day out. 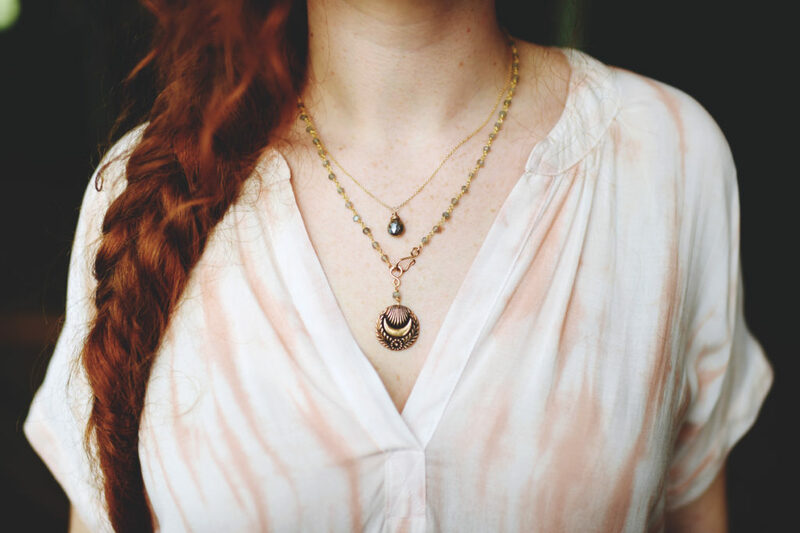 Right now it’s a tossup between our Crescent Moon Necklace and our Billiken Necklace. 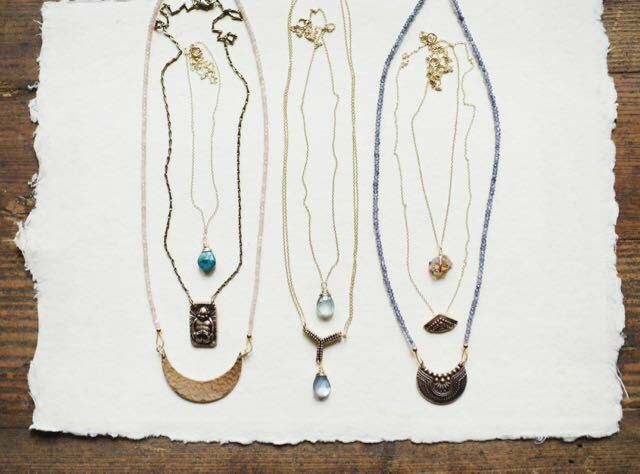 When I dress up or need a bit more of a statement piece, throw on one of our one of kind necklaces (see below). 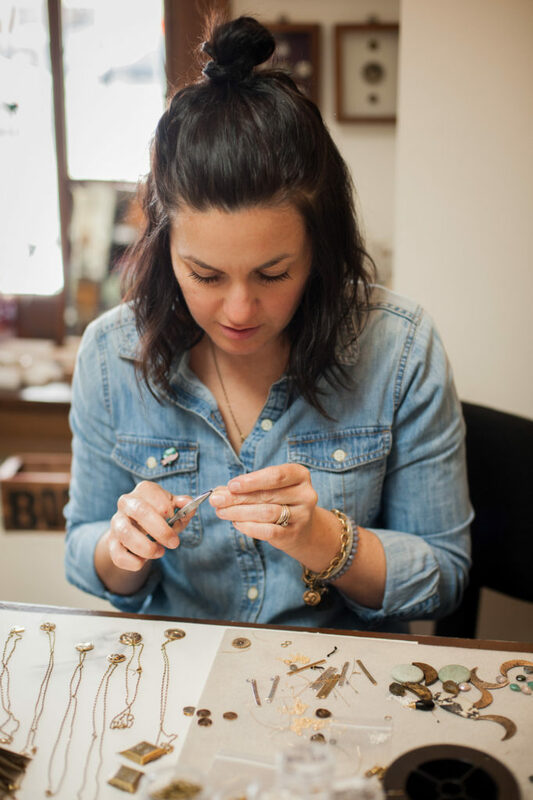 I also love a chance to dive into my archive of antique jewelry!! What is your top tip for successfully accessorizing? It’s all about the layers! And you DON’T have to have matching earrings to the rest of your ensemble! And, it is ok to mix your metals. 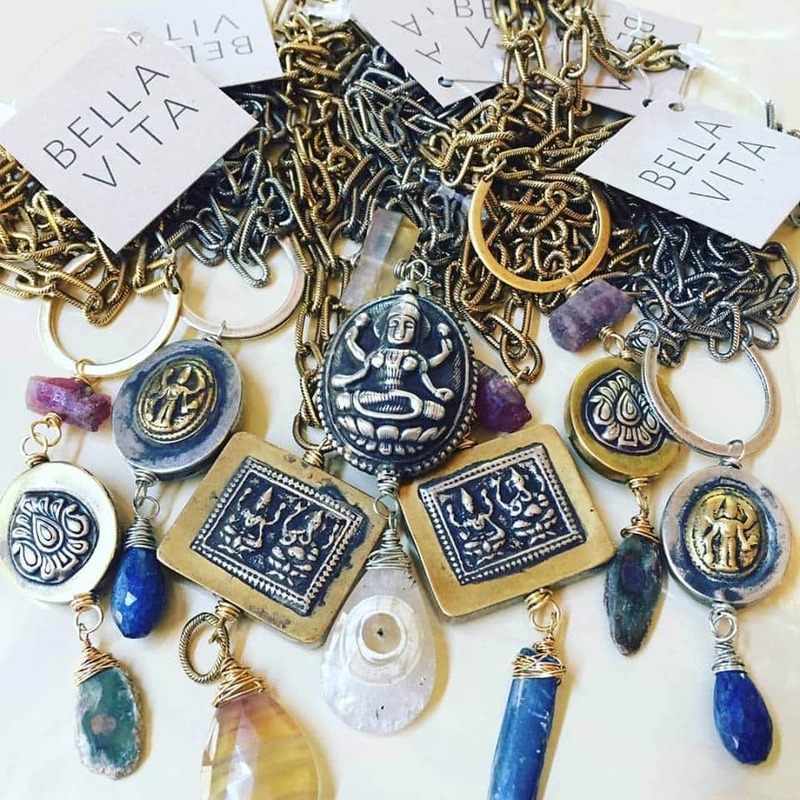 Do you see Bella Vita Jewelry expanding in the future? What would be your dream scenario? I do, I would love to expand our retail shop and maybe even grow into a storefront in Northwest Arkansas. I’m all about growing slow and organically though. When the right things fall into place, I’ll know. Right now we are trying to expand our wholesale line and get into more stores across the country and even internationally. Once that carries its weight, we will expand our retail shop. What type of effect do you want to have on your local community? Oh gosh, have you ever heard how much I LOVE Little Rock??!! Little Rock is a beautiful city with a lot of opportunity in many different fields of work or study. I hope that my little creative shop/studio can serve as a inspiration to anyone that wants to start a business. At Bella Vita, we also try to do our part and give back to the community from donating to silent auctions and events to hosting benefit events for local nonprofits. 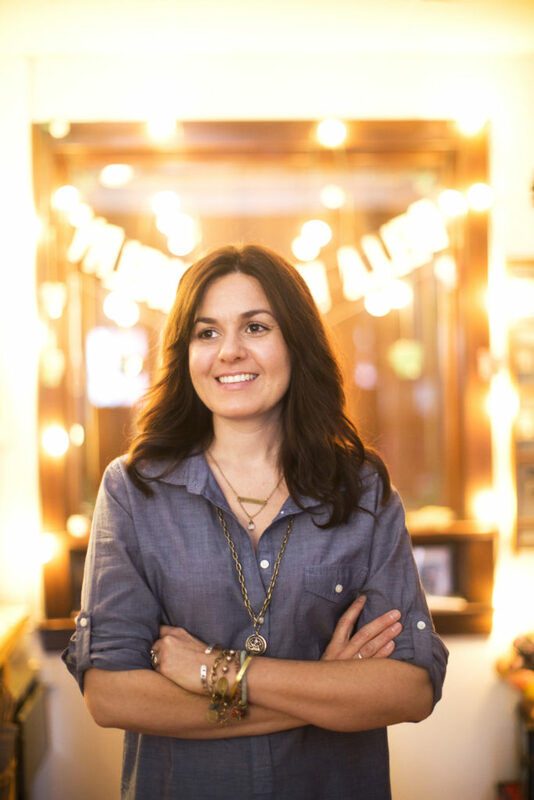 Locally, I am totally inspired by Tanarah Haynie of Tanarah Luxe Floral. She is an amazingly sweet human being and a total Boss Lady! And on a bigger more movie star level, I’d have to say Ellen Degeneres. I love Ellen’s story and history and I love even more how she is so caring and compassionate and gives back to the world. What do you do to get creative inspiration? Most of the time I pull out ALL my boxes of gemstones and antique treasures and such, and just spend time assembling things. A little secret, I am not much of a sketcher, so I don’t sketch a lot of my designs. I’m more of a doer and a problem solver. So I just begin the process by assembling the wires and stones and pendants. Then I find out what the problems are and fix them! 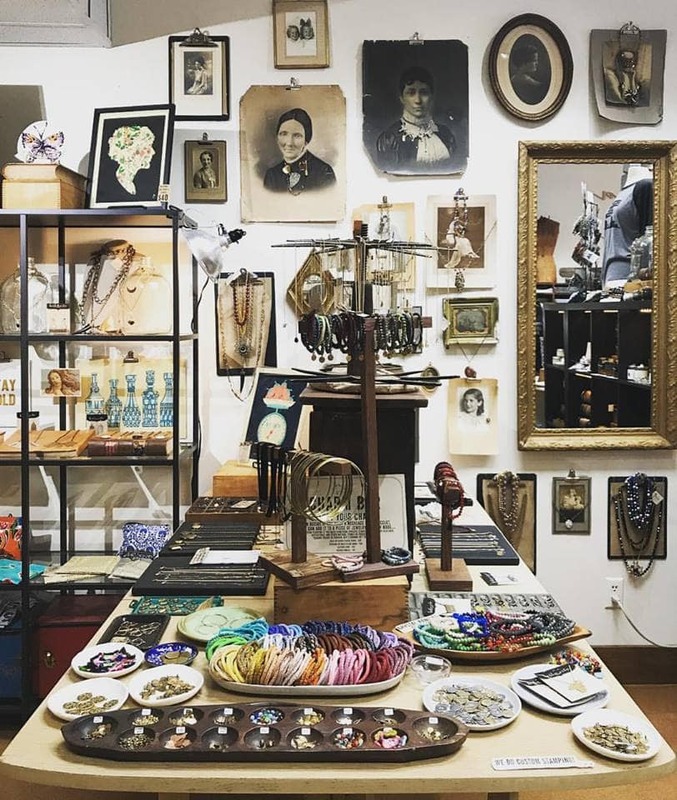 If for some reason my treasures aren’t inspiring me, I’ll look to antique jewelry in my collection or at local antique stores. Long walks outside and visits to art museums and galleries help a lot too. As a special treat for our readers, use coupon code: GP2017 for 20% off your entire order at Bella Vita Jewelry! Active from today until Oct 20, 2017. Also stay in the loop and follow Bella Vita on Instagram, Facebook.